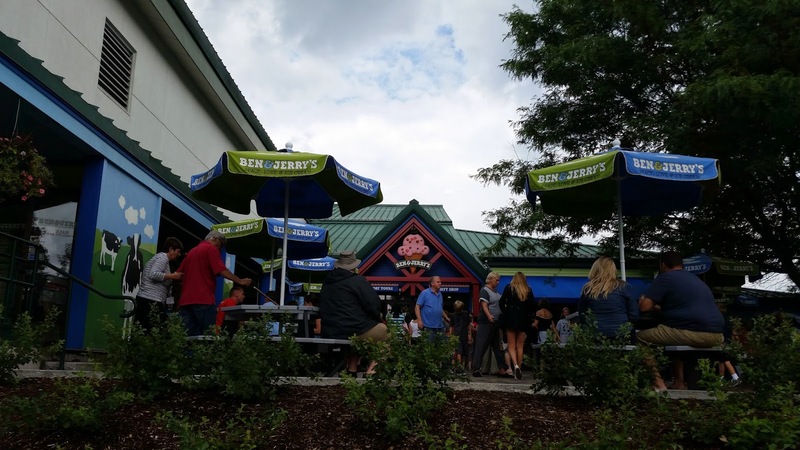 Even though it was a long drive from our campground in Wilmington, NY we decided to spend one of our vacation days driving to Vermont for a Ben & Jerry's factory tour. We are both huge fans of Ben & Jerry's (who isn't, right?) 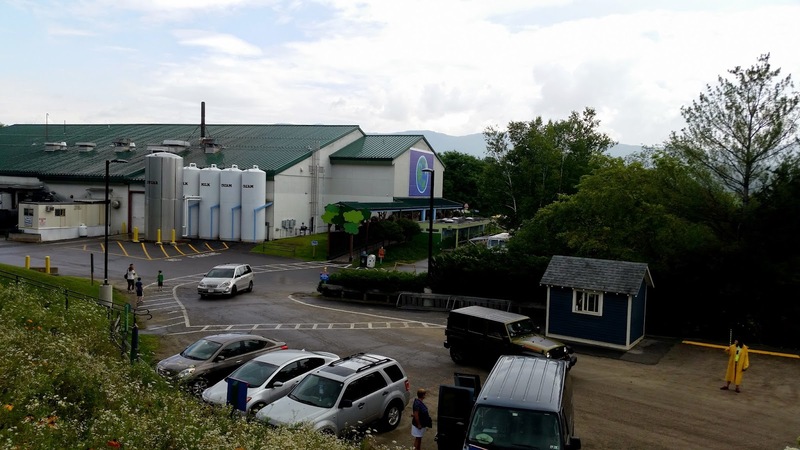 and have long talked of visiting the factory in Waterbury, VT. It was a lovely scenic drive and may well have been my first visit to Vermont. The tour itself was nothing special. We watched two videos, one on the history of the company and a shorter one on the production line. I was disappointed that, although it was a manufacturing day and after noon, the production line was not running, so we didn't get to see any ice cream being made. The highlight of the tour was the sample of cotton candy we got to enjoy at the end. Not surprisingly, it was an absolute madhouse, even though it was a week day. I'd hate to imagine how much longer the lines would be on a weekend. I'm glad we did it, and now I can cross it off the list and never do it again. Once was definitely enough. On the way to the factory we missed the turn off for the ferry (plus, we'd not done any research on times, locations, or cost). 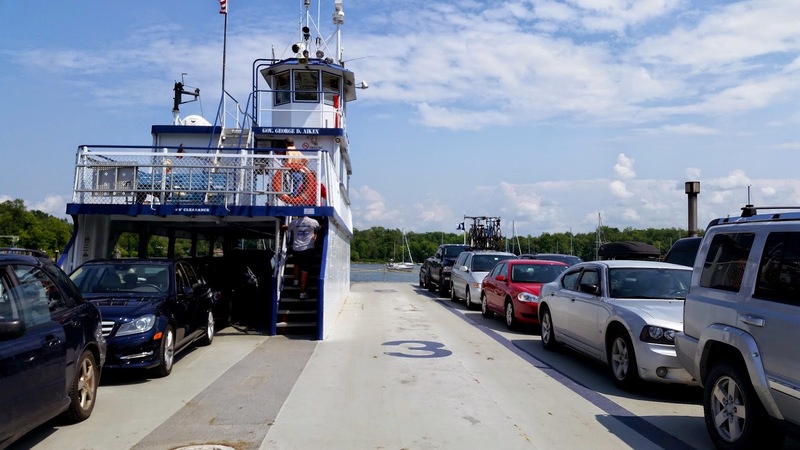 Before heading back to camp, my husband hopped on his phone and GPS and found the best ferry across Lake Champlain for our route. It cut many miles and lots of time from our return trip. And best of all, it was super cool. 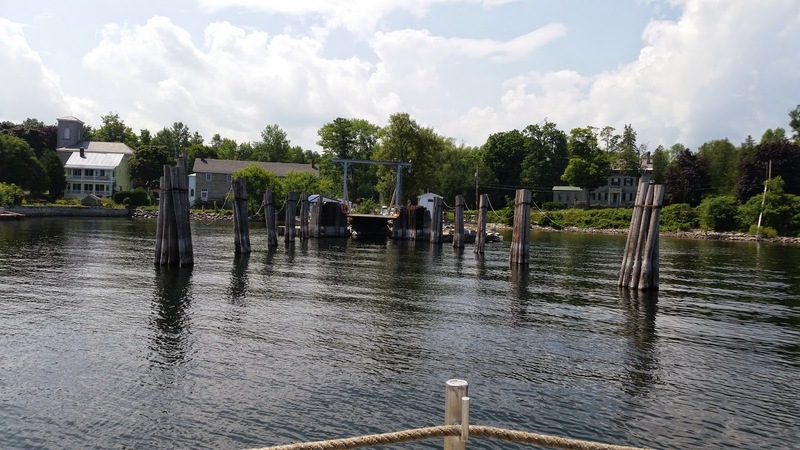 I enjoyed the ferry ride more than the factory tour! Glad you got to go! Too bad the assembly line wasn;t running! 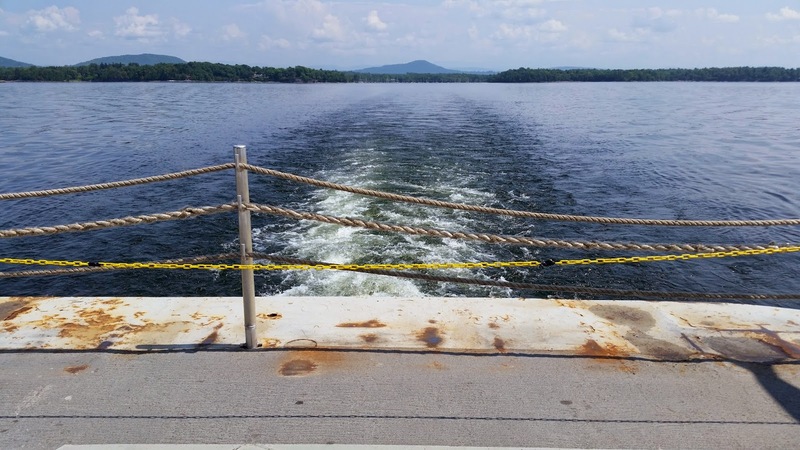 Glad you enjoyed the ferry ride! YAY!